Learn how to conduct a SWOT Analysis to identify situational strengths and weaknesses, as well as opportunities and threats. How do you create a SWOT analysis? 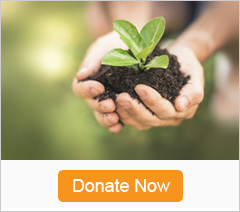 Change is an inevitable part of community organizing. If you know how to take stock of the strengths, weaknesses, opportunities, and threats, you are more likely to plan and act effectively. SWOT provides a tool to explore both internal and external factors that may influence your work. SWOT stands for: Strength, Weakness, Opportunity, Threat. A SWOT analysis guides you to identify your organization’s strengths and weaknesses (S-W), as well as broader opportunities and threats (O-T). Developing a fuller awareness of the situation helps with both strategic planning and decision-making. The SWOT method was originally developed for business and industry, but it is equally useful in the work of community health and development, education, and even for personal growth. SWOT is not the only assessment technique you can use. 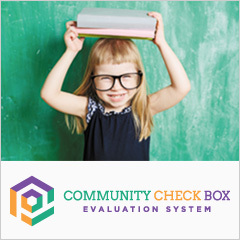 Compare it with other assessment tools in the Community Tool Box to determine if this is the right approach for your situation. The strengths of this method are its simplicity and application to a variety of levels of operation. SWOT also offers a simple way of communicating about your initiative or program and an excellent way to organize information you've gathered from studies or surveys. A SWOT analysis focuses on Strengths, Weaknesses, Opportunities, and Threats. Remember that the purpose of performing a SWOT is to reveal positive forces that work together and potential problems that need to be recognized and possibly addressed. We will discuss the process of creating the analysis below, but first here are a few sample layouts for your SWOT analysis. Ask participants to answer these simple questions: what are the strengths and weaknesses of your group, community, or effort, and what are the opportunities and threats facing it? If a looser structure helps you brainstorm, you can group positives and negatives to think broadly about your organization and its external environment. Below is a third option for structuring your SWOT analysis, which may be appropriate for a larger initiative that requires detailed planning. This "TOWS Matrix" is adapted from Fred David's Strategic Management text. This example also illustrates how threats can become opportunities (and vice versa). The limitation of tin cans (which aren't biodegradable) creates an opportunity for leadership in developing biodegradable containers. There are several formats you can use to do a SWOT analysis, including a basic SWOT form that you can use to prompt analysis, but whatever format you use, don't be surprised if your strengths and weaknesses don't precisely match up to your opportunities and threats. You might need to refine, or you might need to simply look at the facts longer, or from a different angle. Your chart, list or table will certainly reveal patterns. Don't be too modest when listing your strengths. If you're having difficulty naming them, start by simply listing your characteristics (e.g.., we're small, we're connected to the neighborhood). Some of these will probably be strengths. Although the strengths and weakness of your organization are your internal qualities, don't overlook the perspective of people outside your group. Identify strengths and weaknesses from both your own point of view and that of others, including those you serve or deal with. Do others see problems--or assets--that you don't? How do you get information about how outsiders perceive your strengths and weaknesses? You may know already if you've listened to those you serve. If not, this might be the time to gather that type of information. See related sections for ideas on conducting focus groups, user surveys, and listening sessions. Cast a wide net for the external part of the assessment. No organization, group, program, or neighborhood is immune to outside events and forces. Consider your connectedness, for better and worse, as you compile this part of your SWOT list. The most common users of a SWOT analysis are team members and project managers who are responsible for decision-making and strategic planning. But don't overlook anyone in the creation stage! An individual or small group can develop a SWOT analysis, but it will be more effective if you take advantage of many stakeholders. Each person or group offers a different perspective on the strengths and weaknesses of your program and has different experiences of both. Likewise, one staff member, or volunteer or stakeholder may have information about an opportunity or threat that is essential to understanding your position and determining your future. When and where do you develop a SWOT analysis? A SWOT analysis is often created during a retreat or planning session that allows several hours for brainstorming and analysis. The best results come when the process is collaborative and inclusive. When creating the analysis, people are asked to pool their individual and shared knowledge and experience. The more relaxed, friendly and constructive the setting, the more truthful, comprehensive, insightful, and useful your analysis will be. How do you develop a SWOT analysis? Designate a leader or group facilitator who has good listening and group process skills, and who can keep things moving and on track. Designate a recorder to back up the leader if your group is large. Use newsprint on a flip chart or a large board to record the analysis and discussion points. You can record later in a more polished fashion to share with stakeholders and to update. 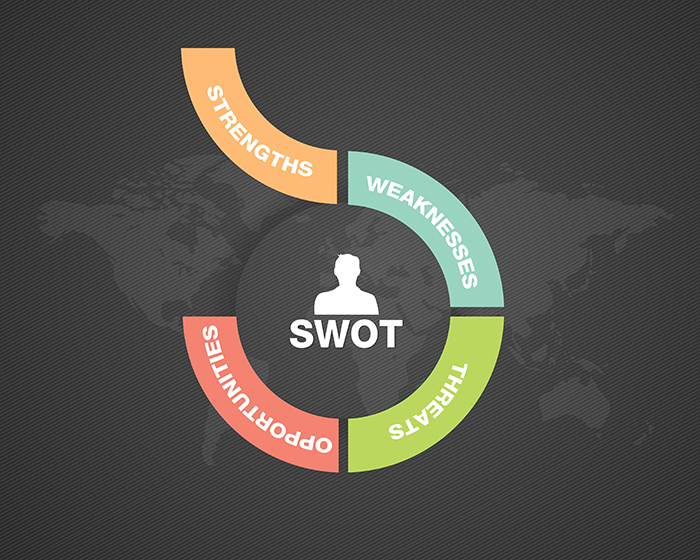 Introduce the SWOT method and its purpose in your organization. This can be as simple as asking, "Where are we, where can we go?" If you have time, you could run through a quick example based on a shared experience or well-known public issue. Depending on the nature of your group and the time available, let all participants introduce themselves. Then divide your stakeholders into smaller groups. If your retreat or meeting draws several groups of stakeholders together, make sure you mix the small groups to get a range of perspectives, and give them a chance to introduce themselves. The size of these depends on the size of your entire group – breakout groups can range from three to ten. If the size gets much larger, some members may not participate. Have each group designate a recorder, and provide each with newsprint or dry -erase board. Direct them to create a SWOT analysis in the format you choose-a chart, columns, a matrix, or even a page for each quality. Give the groups 20-30 minutes to brainstorm and fill out their own strengths, weakness, opportunities and threats chart for your program, initiative or effort. Encourage them not to rule out any ideas at this stage, or the next. Remind groups that the way to have a good idea is to have lots of ideas. Refinement can come later. In this way, the SWOT analysis also supports valuable discussion within your group or organization as you honestly assess. It helps to generate lots of comments about your organization and your program, and even to put them in multiple categories if that provokes thought. Once a list has been generated, it helps to refine it to the best 10 or fewer points so that the analysis can be truly helpful. Reconvene the group at the agreed-upon time to share results. Gather information from the groups, recording on the flip-chart or board. Collect and organize the differing groups' ideas and perceptions. Proceed in S-W-O-T order, recording strengths first, weaknesses second, etc. Or you can begin by calling for the top priorities in each category -the strongest strength, most dangerous weakness, biggest opportunity, worst threat--and continue to work across each category. Or, you can open the floor to all groups ("What strengths have you noted?") for each category until all have contributed what they think is needed. If appropriate, prepare a written summary of the SWOT analysis to share with participants for continued use in planning and implementation. More ideas on conducting successful meetings can be found in Community Tool Box resources on conducting public forums and listening sessions, conducting focus groups, and organizing a retreat. As you consider your analysis, be open to the possibilities that exist within a weakness or threat. Likewise, recognize that an opportunity can become a threat if everyone else sees the opportunity and plans to take advantage of it as well, thereby increasing your competition. Finally, during your assessment and planning, you might keep an image in mind to help you make the most of a SWOT analysis: Look for a "stretch," not just a "fit." As Radha Balamuralikrishna and John C. Dugger of Iowa State University point out, SWOT usually reflects your current position or situation. Therefore one drawback is that it might not encourage openness to new possibilities. You can use SWOT to justify a course that has already been decided upon, but if your goal is to grow or improve, you will want to keep this in mind. A realistic recognition of the weaknesses and threats that exist for your effort is the first step to countering them with a robust set of strategies that build upon strengths and opportunities. A SWOT analysis identifies your strengths, weaknesses, opportunities and threats to assist you in making strategic plans and decisions. The Essential Guide to SWOT Analysis from Jackson Hille, content associate for FormSwift, a SF-based startup that helps organizations, entrepreneurs, and businesses go paperless. Quality Guide: SWOT Analysis is a helpful guide from Management Sciences for Health and United Nations Children's Fund. David, F. (1993). Strategic Management, 4th Ed. New York, NY: Macmillan Publishing Company. Jones, B. (1990). Neighborhood Planning: A Guide for Citizens and Planners. Chicago and Washington, DC: Planners Press, American Planning Association.